Six employees of Howard University have been fired after an investigation into misappropriated financial aid money. University officials have not revealed the amount of money involved in the matter. An anonymous whistleblower said the financial aid office stole $1 million. Between 2007 and 2016, some employees who received tuition benefits to cover the cost of taking classes were also receiving university grants. That double dipping exceeded the actual cost of attendance. The employees allegedly pocketed the excess money. The school’s president, Wayne A. I. Frederick, released a statement saying that measures had been instituted to prevent a recurrence of the misappropriation. Frederick said the school has adopted additional layers of review and approval for its grants and scholarships. Access to the financial aid module has been limited to a small number of appropriate senior University individuals. The university will now be conducting an annual audit of the funds. In his statement, Frederick said he learned that financial aid money might have been misappropriated in December 2016. An internal investigation was started and an outside auditor was brought in to find answers. Frederick said the results of the audit were received in May 2017 and the investigation wrapped up in September 2017. 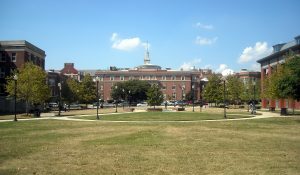 Howard University is an iconic historically black university, but its reputation has taken a hit in recent years. New financial policies were instituted after the university reported roughly $22 million in uncollected tuition as of 2017. Now, students must have a zero balance, or pay one-third of their outstanding bill and be enrolled in a payment plan, to register for classes. School officials called the move a necessary step toward financial stability. How Do Golf Majors Affect the Supporting Industry?